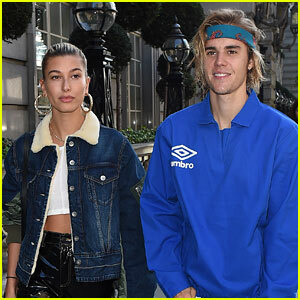 Hailey Bieber is speaking all about taking her husband Justin Bieber‘s last name. The couple got married back in September at a courthouse in New York City, but are reportedly planning a ceremony for their family and friends. Rita Ora Releases 'Let You Love Me' Music Video – Watch Now! Rob Kardashian's Sporadic Online Antics Continue! See What Special Pic He Shared This Time! Prince Harry Reveals If He Wants a Boy or Girl! Jessie J Felt Honored to Perform in Times Square for NYE! Wisconsin's New State Supreme Court Justice Once Wrote That 'Queers' Who Get AIDS Deserve No Sympathy! Is A Cancerous Tumor Forcing Janet Jackson To Get Throat Surgery? Here's An Update On The Singer's Health Status!